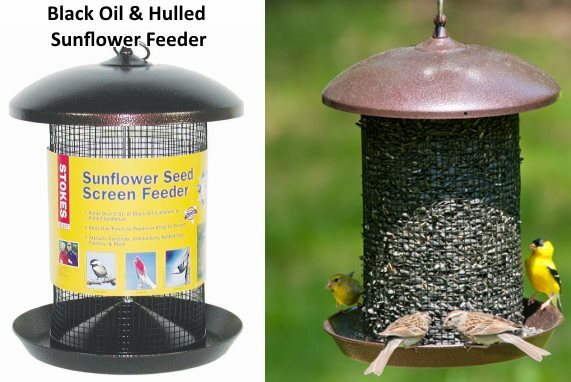 Black oil sunflower seeds are a favorite among most seed-eating songbirds and will attract a wide variety of species. What is the difference between black oil and ordinary striped sunflowers seeds? Black oil sunflower seeds have a high energy return to expense ratio, having twice the calories per pound than striped. Because of its smaller size and thin shell, it is easier to open for a wider variety of birds than the larger, thicker-shelled striped sunflower. So less energy is spent to reap the rewards of a high-fat, energy-packed morsel. An excellent wild bird food choice. 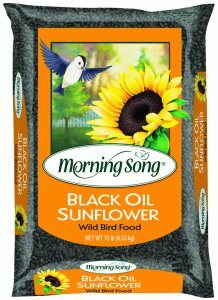 Morning Song Black Oil Sunflower Seed comes in 5lb, 10lb, 20lb, 25lb and 50lb bags. Black oil is a little more expensive than your average wild bird seed mix, but it lasts longer because instead of birds kicking out all the seed they don't like (i.e., millet and/or milo) they eat each seed, one-by-one, by cracking them open. Prices have been fluctuating on bird seed, especially black oil sunflower seed, but Morning Song seems to have a good bargain going on now. 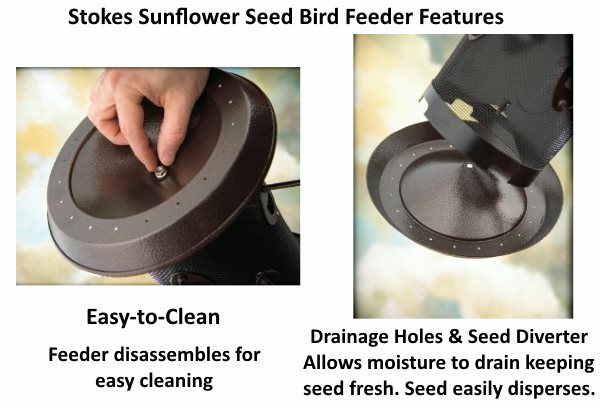 We also like the Stokes Select Sunflower Seed Screen Feeder. It can hold 6 quarts of black oil or hulled sunflower seeds. It's easy-to-clean, has drainage holes to help pull moisture away and keep seeds dry and fresh, and has a powder coated weather resistant finish. 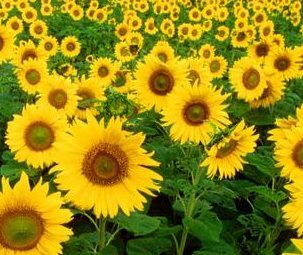 Where do black oil sunflowers grow and how are they harvested? Here's a quick look at one farm that produces seed for Brodhecker Birdseed in conjuction with the New Jersey Audubon S.A.V.E (Support Agricultural Viability and the Environment) program.